Ask A Canals MARKET EXPERT! DESCRIPTION This beautiful property features a 2448 sq.ft main house w/ 3 beds, 2.5 baths & also comes with a fully LEGAL 1 bed, 1 bath 875 sq.ft CARRIAGE SUITE that sits above the detached TRIPLE garage! The main home features a gourmet kitchen w/ granite counters, spacious living room w/ gas fireplace, office, 2pc. bath, & a dining room w/ coffered ceilings. The upper level showcases a sprawling master bedroom w/ ensuite, two additional beds that share a Jack & Jill bath & upstairs laundry. Hardwood floors, oversized bright windows, new paint throughout and high end finishing complete this stunning home. The carriage suite showcases a private entry, bright kitchen, spacious living room, bed, bath, in-suite laundry & a private balcony. The triple garage is a mechanics dream & has enough space for all your toys! This home sits upon a beautiful lot that sides a pathway & is located only a short walk to serene green spaces, ponds, park, schools, restaurants, shopping and amenities. 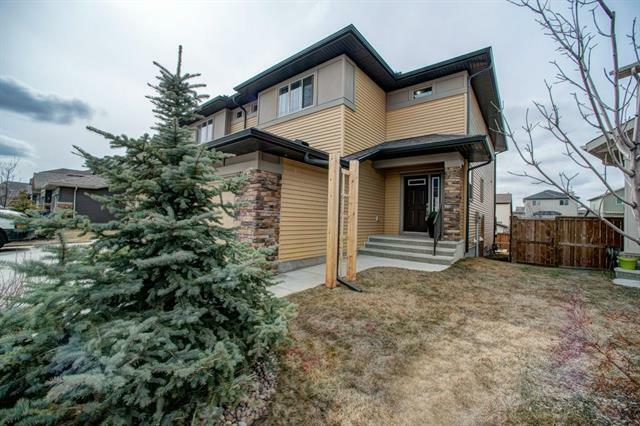 Home for sale at 961 Channelside RD Sw Airdrie, Alberts t4b 3j4. 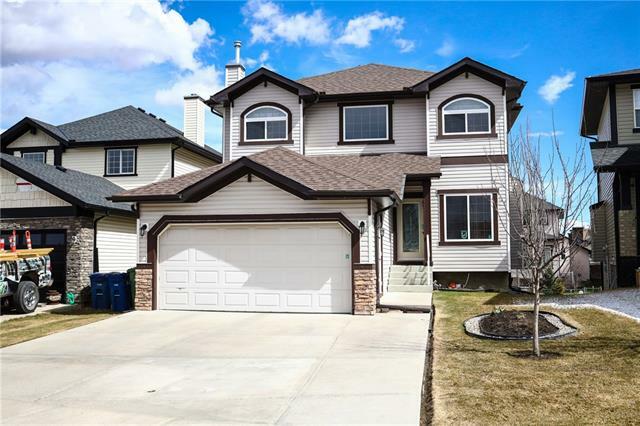 Description: The home at 961 Channelside RD Sw Airdrie, Alberta t4b 3j4 with the MLS® Number C4236307 is currently listed at $589,900.